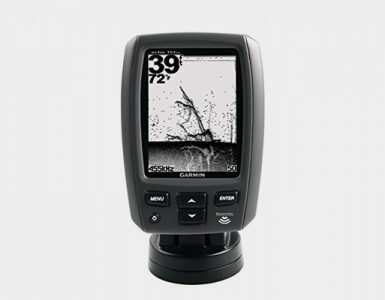 Are you looking for a powerful fish finder that delivers photo-like images of fish in a 5 inch screen? The Garmin Echo 201dv is a device well worth looking at, as it delivers a lot of features that will enhance your fishing trip. The Echo 201dv comes with advanced sonar features that you only expect in much more expensive fishfinders. Just like the Echo 151dv, the Echo 201dv also supports 50/200 kHz transducers that you can acquire separately. 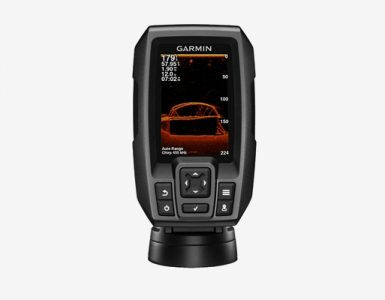 Comes with an integrated transducer that delivers both HD-ID 77/200 kHz and Garmin DownVu scanned simultaneous images on a vertically or horizontally split screen. Garmin ltd has been has been long known for manufacture of high quality devices that perform excellently in the market. The company has quite a good reputation; its products are widely accepted across the globe. They often release different fish finding equipment that have different features, at different price ranges. This gives you the assurance that any product manufactured by Garmin is worth going for. Unlike the Garmin 151dv that features a 4 inch 8 level monochrome display, this device features a 5 inch screen that employs 16 level grey scale technology to display clear photographic images. The screen has a native resolution of 320 x 480 pixels. The 201dv uses HD-ID technology, one that makes fish easily identifiable. If that’s not enough, it uses smooth scaling and smart sonar history rewind features. The fish-finder therefore has the ability to look back and see whether there was something important he had missed. With this, you are eventually able to identify the best fishing spot from all the areas you had sailed earlier. 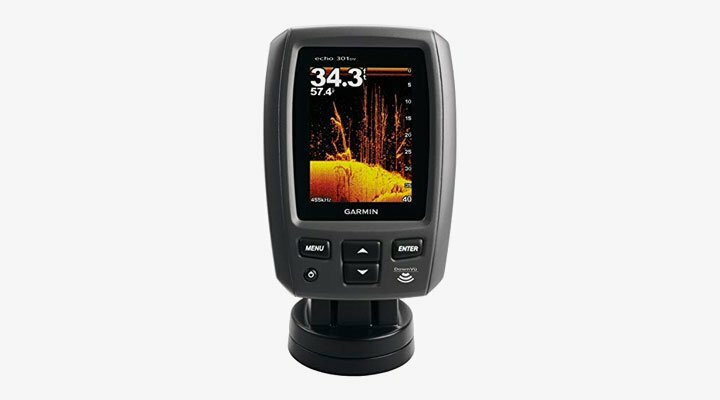 The Garmin Echo 201dv uses Garmin DownVu sonar technology, meaning that it has the capability to scan a nearly photographic view of fish and structures beneath your boat. It comes with an all in one 77/200 kHz HD-ID transducer comprising of transom and trolling motor units. Excellent target separation is highly boosted by a 2,400 watt peak-to-power transmitter that can scan depths of up to 1750 feet in water. Locating fish beyond the sides of your vessel is made possible by a viewing angle of 120 degrees as well as narrow-to-wide cone angles. The device is easy to use; all keys are labeled with their purpose. All the measurements recorded by this device are clearly displayed on the screen. If you wish to refer to written instructions, a user documentation is available for you. It features a compact design making it appear simple and portable. Installation also is quite simple as the mounts are easy to use and uses quick-release mechanism. 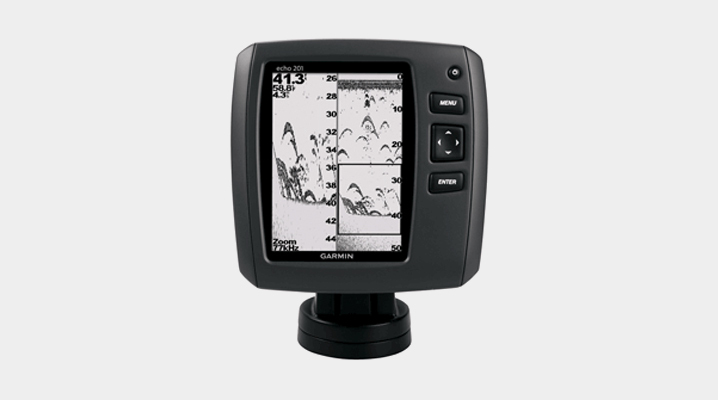 The Garmin Echo 201dv is no doubt a powerful fish finder that has integrated features aimed at making your fish finding process fast and simple. It will ensure you do not miss a spot with the rewinding feature available. Coming with a warranty of one year, the quality device is highly guaranteed.